Whether your pool and spa business consists of retail stores, traveling service techs treating pools directly in backyards, or a combination of those, WaterLink® DataMate® Web offers a fully featured software solution at an incredibly affordable price. Try it now for 30 days, risk free. Customers are the most important part of your business. The more information you have about them, the better service you can provide. Names, phone numbers, and addresses are just the beginning. 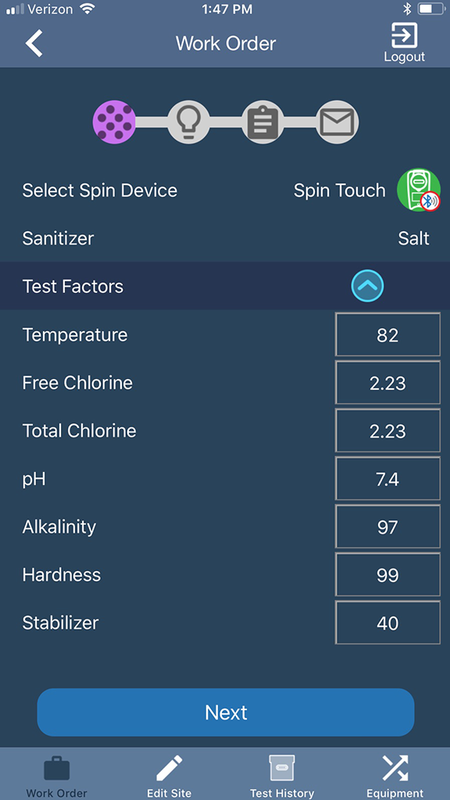 DataMate® Web’s fully featured treatment engine will provide exact dosages of chemicals to balance your customer’s pools and spas. Treatment recommendations, dosage rates, chemical names, even ideal ranges can all be adjusted to suit the chemical products you sell and use. 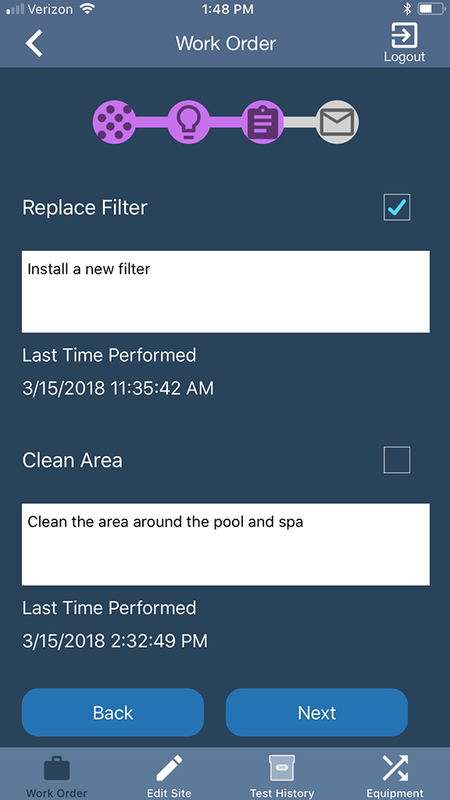 Organized reports can be printed or emailed to your customers so following your instructions and keeping a healthy pool or spa is clear and easy. 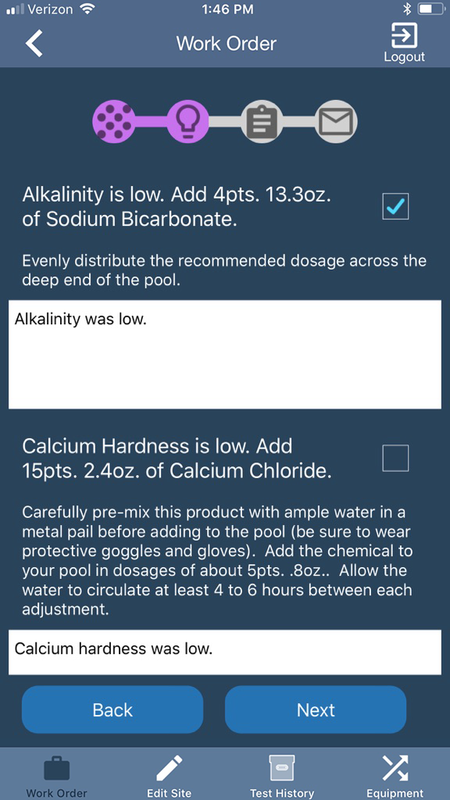 Customize chemical names, dosage rates, and treatment text to match your chemical products and recommendation methodology. No more hand writing on those reports! For the service company with a fleet of trucks, or the husband and wife that manage the whole thing on their own, DataMate® Web’s Scheduling and Service module offers a complete system for scheduling appointments, routing mobile users to homeowners, and providing step-by-step work orders, all on the go. Sign into the DataMate® Web mobile app for Android® and iOS® to complete appointments for customers. 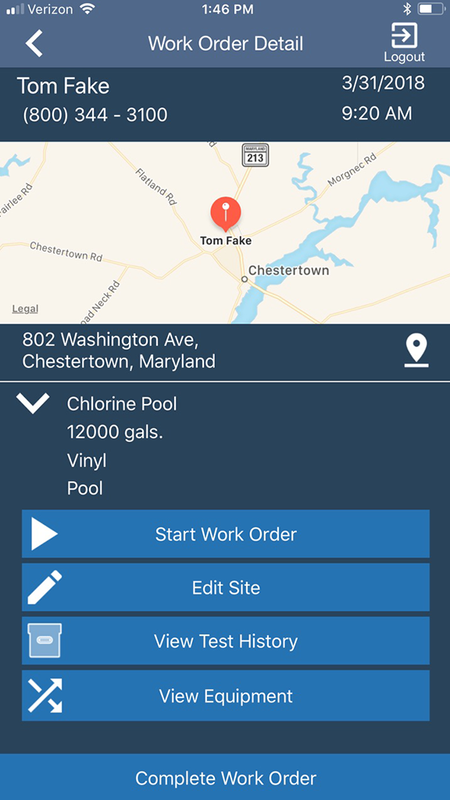 Get turn-by-turn GPS directions to your customer’s home, walk through the work order to analyze the water, complete tasks, and even snap a quick picture of the pool or equipment. When complete, an e-doorhanger is emailed to your customer to let them know your tech completed the service. Starting at just $19.95 USD per month, DataMate® Web offers a complete water analysis web program for your pool or spa business.